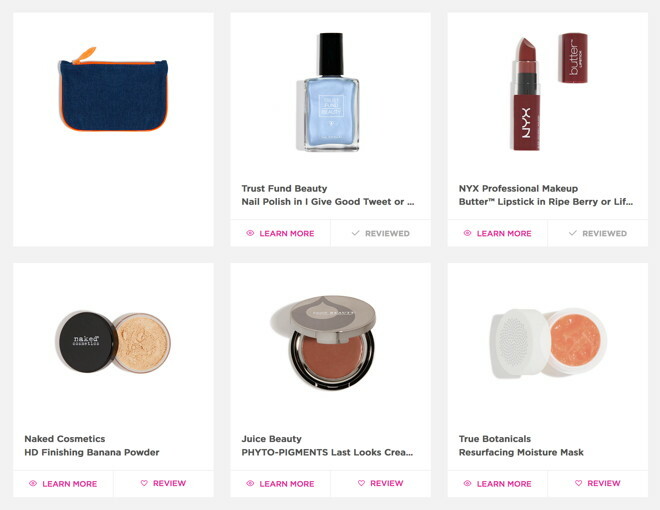 Over the last couple of months, I hauled quite a bit from Trust Fund Beauty using some 35% off and 40% off codes from Ipsy. 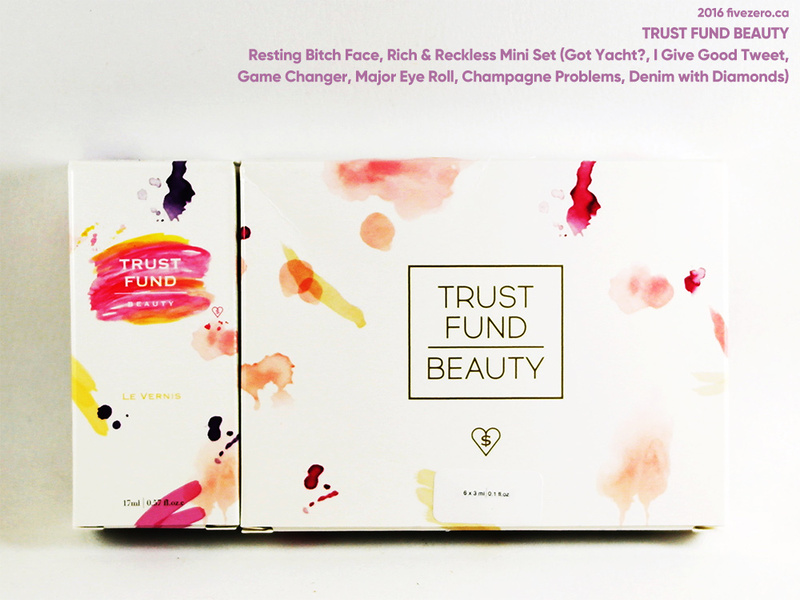 Of course, for the holidays, Trust Fund Beauty is now running a 50% off code (HOLIDAY50, no affiliation), so I’m incredibly tempted to place one more order! Arrrgh. Anyway, my polish of the day is one of the polishes I got in one of the mini sets, Rich & Reckless. 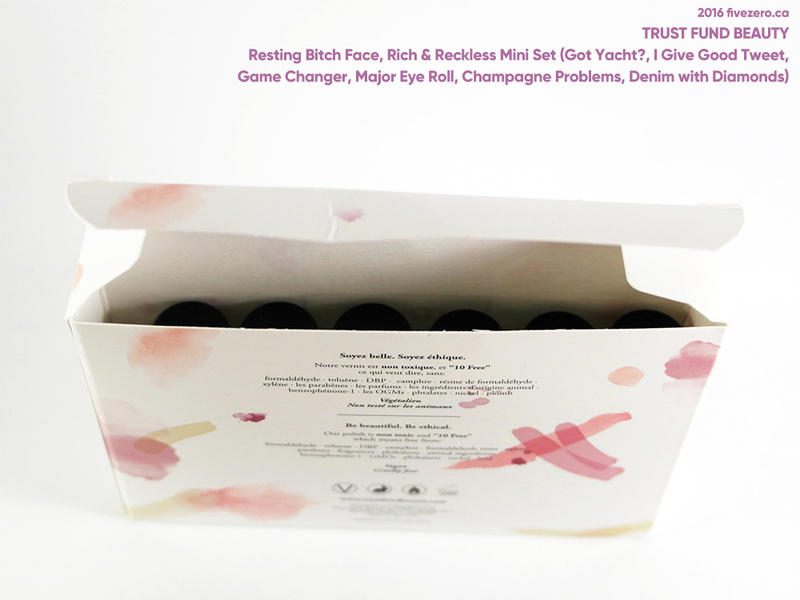 Champagne Problems is described by TFB as a “metallic gold foil”. 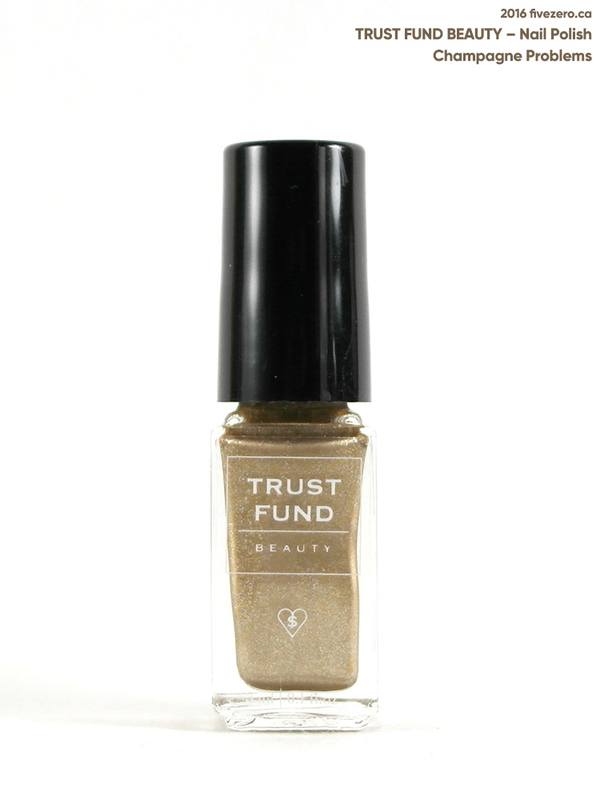 There are many variations on gold in nail polish world, and this particular one is a very wearable, subdued antique gold with a strong pewter tone. It’s not your typical brassy, shiny, yellow or orange gold. I have trouble finding a gold shade that doesn’t clash terribly with my skintone (the long discontinued OPI Gala Gold was my previous favorite), so I’m really pleased to have found Champagne Problems! After trying my first Trust Fund Beauty nail polish, Champagne Socialite, I was pretty smitten and took advantage of a 35% off Ipsy coupon code to order some more. Later, I saw that Ipsy released a second coupon for 40% off, so now I have a lot of Trust Fund Beauty polishes to swatch. For Canadians, TFB ship from Canada, so you only have to pay Québec tax and shipping costs—no customs fees. I believe they have warehouses in the US (and their website pricing is all in USD), so US orders ship from within that country. The polishes all come in paper boxes. This is the only actual complaint—and it’s a very minor one—that I have with TFB: while their bottles and brushes are very nice, the boxes and sticker labels on the bottom of the bottles seem a bit cheap. I normally keep my polish boxes (like for Chanel, Illamasqua, etc.) but I tossed the TFB boxes. The print on them is cute, but the boxes just look a bit disheveled after being opened, and they’re not terribly sturdy, anyway. The minis are also too small for the box they come in, so they’re just sliding around in there. 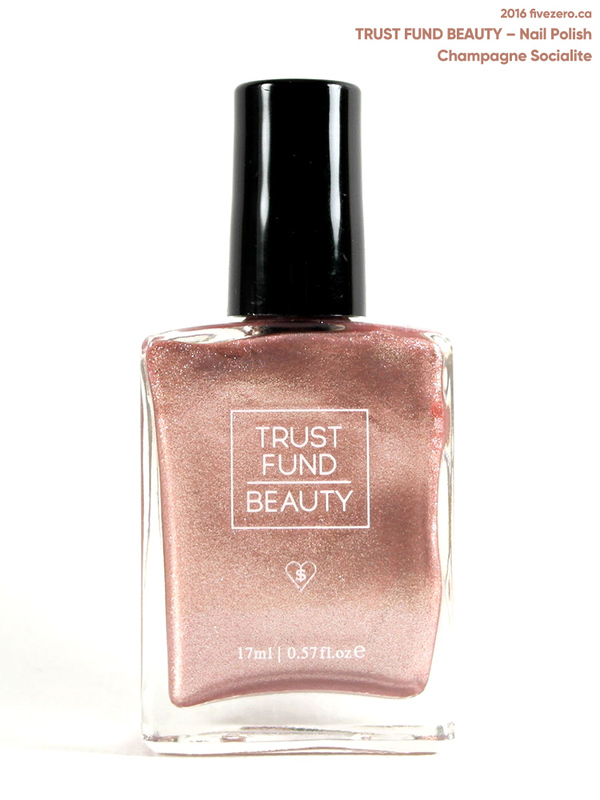 I first heard of Trust Fund Beauty through Ipsy, and have been wanting to receive one of their nail polishes for months! 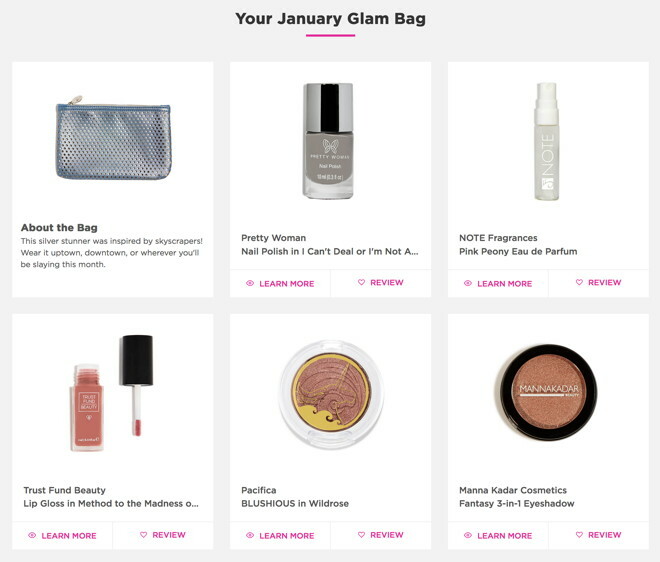 Finally, last month, Ipsy sent one to me, and it’s in a fabulous rose gold. I can’t get enough of rose gold anything! Now, I already have a number of rose gold polishes, like China Glaze Meet Me in the Mirage, H&M Shakudo, Misa Flutter & Feather Missha Wonder Woman GPK05, and Deborah Lippmann Glamorous Life (which I need to swatch and review one of these days). However, there is always room for more! Champagne Socialite is a super-shimmery rose gold metallic that leans more pink than copper. It has a silvery aspect in its packed shimmer. I just did my August Ipsy (referral link) bag over the weekend (so late!) and now here’s my Sepember bag. Thought I should get it done before I start running late again.